David Bloome is the EHE Distinguished Professor of Teaching and Learning and researcher in the Language, Education and Society and Adolescent, Post-Secondary and Community Literacies programs in the Department of Teaching and Learning. He is interested in how people use written language to construct knowledge and learning opportunities, to construct social relationships and social identities, to create collective memories, to connect people and events across time and space, and to improve their communities and the various "worlds" in which they live. Bloome is interested in the potential of classroom education (preschool through high school) for connecting academic learning and local knowledge and for building communities. He is interested in the teaching and learning of reading and writing in ways that have meaning for students, their families, and their communities, and that integrate academic excellence with social justice. He has held several leadership positions in the field of literacy research and education. These include: President of the National Council of Teachers of English, President of the National Conference on Research in Language and Literacy, co-chair AERA Division G Section 1, co-chair AERA Division C Section 9, Chair AERA Special Interest Group on Language and Social Processes. Bloome founded and co-edited the research journal, Linguistics and Education. He was the editor (with Professor Ian Wilkinson) of Reading Research Quarterly. 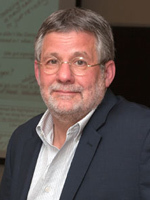 Among the awards he has received are: The John J. Gumperz Memorial Award for Distinguished Lifetime Scholarship from the AERA Special Interest Group on Language and Social Processes (2015), the Distinguished Scholar Award from the National Conference on Research in Language and Literacy (2018), the 2006 College of Education Dean's Distinguished Scholarship Award, the AERA Division 6 Mentoring Award (2014). In 2008, he was inducted into the Reading Hall of Fame and in 2011 he was elected as a Fellow of the American Educational Research Association. Bloome teaches courses on discourse analysis, writing in classrooms and community, language, literacy and culture, among others. He taught at the upper elementary through high school levels. Currently, he is director of the Center for Video Ethnography and Discourse Analysis and co-director of the Columbus Area Writing Project. Bloome is currently involved in four long-term, collaborative research projects involving other faculty, doctoral students and local teachers. The first focuses on reading comprehension as a set of intertextual practices. Instead of viewing reading comprehension as the understanding of a single text, reading comprehension is defined as creating meaning by bringing together multiple texts. The second focuses on the teaching and learning of argumentative writing. Bloome is interested in how definitions of rationality (reason and logic) are constructed through the teaching and learning of argumentative writing. The third focuses on how definitions of personhood – what it means to be a human being – are constructed and shared in and through classroom education. Much of Bloome’s research involves discourse analysis, ethnographic research, the use of video recordings, and close collaboration with teachers. His research and his teaching are grounded in his experiences as a former language arts and reading teacher. Beyond the research projects above, Bloome has a deep interest in Yiddish language, culture, and literature and the use of Jewish children’s literature in elementary school classrooms to engage all children in discussions of philosophy, wonder, history, and cross-cultural understanding. Beach, R. & Bloome, D. (ed.) (2019). Languaging relations across social worlds. New York: Routledge. Bloome, D., Castanheira, M., Leung, C., & Rowsell, J. (Eds.) (2019). Re-Theorizing literacy practices. New York: Routledge. Newell, G., Bloome, D., Hirvela, A., VanDerHeide, J., Wynhoff Olsen, A., & and Tzu-Jung Lin, T-J. with Ryu, S., Goff, B., Weyand, L., Buescher, E., & Kim, M. (2015). Teaching and Learning Argumentative Writing in High School English Language Arts Classrooms. New York: Routledge. Grenfell, M., Bloome, D., Hardy, C., Pahl, K., Rowsell, & J., Street, B. (2012). Language, ethnography, and education: Bridging New Literacy Studies and Bourdieu. New York: Taylor & Francis. Bloome, D., Carter, S., Christian, B., Otto, S., Shuart-Faris, N., Madrid, S., & Smith, M. with Goldman, S., and Macbeth, D. (2009). On discourse analysis: Studies in language and literacy. New York: Teachers College Press. Bloome, D., Carter, S., Christian, B., Otto, S., & Shuart-Faris, N. (2005). Discourse analysis and the study of classroom language and literacy events A Microethnographic approach. Mahwah, NJ: Erlbaum. Shuart-Faris, N., & Bloome, D. (Eds.). (2005). Intertextuality and Research on Classroom Education. Greenwich, CT: IAP. Sheridan, D., Street, B., & Bloome, D. (2000). Writing Ourselves: Mass-Observation and Literacy Practices. Cresskill, NJ: Hampton Press. Egan-Robertson, A., & Bloome, D. (Eds.) (1998). Students as Researchers of Culture and Language in Their Own Communities. Cresskill, NJ: Hampton Press. Bloome, D., & Kim, M. (2018). Storytelling learning to read as social and cultural processes. Prospects, 46(3), 391-405. Newell, G., Bloome, D., Kim, M-Y., Goff, B., & The Ohio State University Argumentative Writing Project. (2018). Shifting Epistemologies during Instructional Conversations about “Good” Argumentative Writing in a High School English Language Arts Classroom, Reading and Writing: An Interdisciplinary Journal, 1-24. Brown, A., Bloome, D., Morris, J., Power Carter, S., & Willis, A. (2017). Classroom Conversations in the Study of Race and the Disruption of Social and Educational Inequalities: A Review of Research. Review of Research in Education, 47, 1, 456-473. Bloome, D., & Green, J. (2015). The social and linguistic turns in studying language and literacy. In J. Rowsell & K. Pahl (Eds.) The Routledge Handbook of Contemporary Literacy Studies. New York: Routledge. Bloome, D. (2015). Almaty and Columbus: Theorizing the local. In D. Landis & S. Mirseitova (Eds.) Knowing what’s local: Ethnographic inquiry, education and democracy. Charlotte, NC: Information Age Press. Wynhoff Olsen, A., Ryu, S., & Bloome, D. (2014). (Re)constructing rationality and social relations in the teaching and learning of argumentative writing in two high school English language arts classrooms. In P. J. Dunston, S. K. Fullerton, C. C. Bates, P. M. Stecker, M. Cole, A. Hall, D. Herro, & K. Headley (Eds.) 62nd Yearbook of the Literacy Research Association. (pp. 359-376). Altamonte Springs, FL: Literacy Research Association. Bloome, D., & Power Carter, S. (2013). Microethnographic discourse analysis, In P. Albers, T. Holbrook, & A. Seely Flint (Eds.) New literacy research methods. New York: Routledge. Bloome, D., Katz, L., Hong, H., May-Woods, P., & Wilson, M. (2012). Methodologies in Research on Young Children and Literacy. In N. Hall, J. Larson, & J. Marsh (eds.) Handbook of research in early childhood literacy [2nd edition]. London: Sage. Dixson, A., & Bloome, D. (2007). Jazz, Critical Race Theories, and the Discourse Analysis of Literacy Events in Classrooms. In C. Clark and M. Blackburn (Eds.) New Directions in Literacy Research for Political Action and Social Change. (pp. 29-52). New York: Peter Lang. Bloome, D., & Clark, C. (2006). Discourse-in-use. In J. Green, G. Camilli, & P. Elmore (Eds.) Complementary methods in research in education. Mahwah, NJ: Erlbaum. Bloome, D. (2005). The people write back: Community literacy practices and the visibility of the ordinary writer. In J. Anderson, M. Kendrick, T. Rogers & S. Smythe (eds.) Portraits of Literacy: Critical Issues in Family, Community and School Literacies. (pp. 301-319). Mahwah, NJ: LEA Press. Bloome, D. (2005). Introductions to the Study of Classroom Language and Literacy, in Particular. In R. Beach et al. (eds.) Multidisciplinary perspectives on literacy research.(pp. 275-292). Cresskill, NJ: Hampton Press. Goldman, S., & Bloome, D. (2005). Learning to construct and integrate. In A. F. Healy (ed.) Experimental cognitive psychology and its applications. (pp. 169-182). Washington, DC: American Psychological Association. Bloome, D., Katz, L., Solsken, J., Willett, J., & Wilson-Keenan, J. (2000). Interpellations of family / community and classroom literacy practices. Journal of Educational Research, 93, 3, .155-164. Bloome, D. Puro, P. & Theodorou, E. (1989). Procedural display and classroom lessons. Curriculum Inquiry, 19, 3, 265-291.